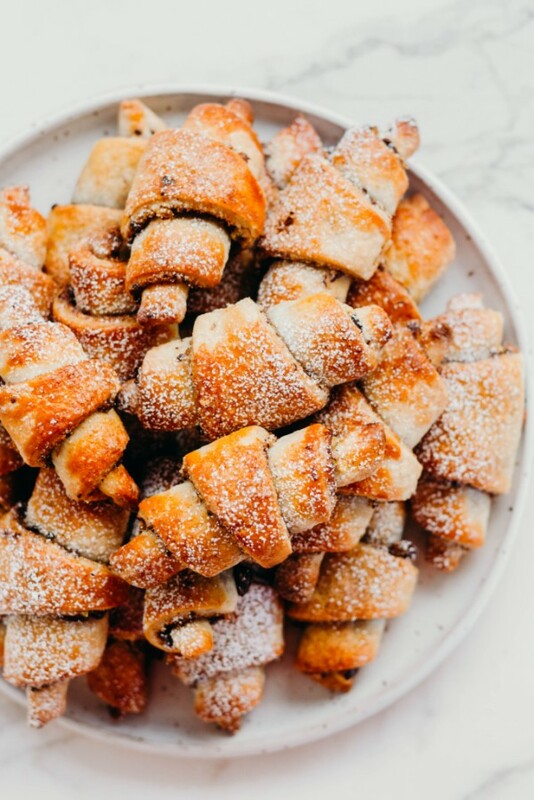 We partnered with Bob’s Red Mill to bring you a Tahini, Dark Chocolate, Pistachio and Honey Rugelach made using their Organic All Purpose Flour, the perfect recipe to kick off Hanukkah and holiday cookie season with! 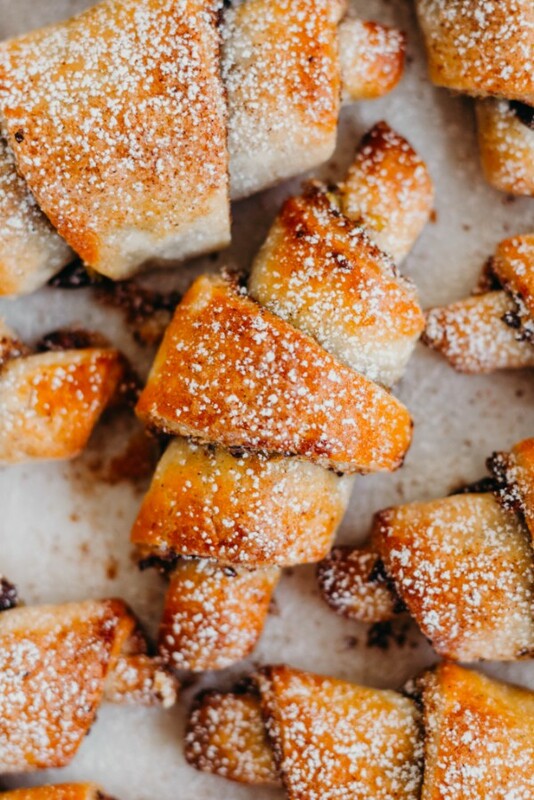 Oh, Rugelach, how we love you. Yiddish for "little twists" these buttery, flaky and not-too-sweet cookies are impossible to resist, no matter what they are filled with. BUT we ratcheted up the rugelach ante and filled our dough (made with Bob’s Red Mill Organic All Purpose Flour) with runny tahini, dark chocolate, chopped pistachios and luscious honey. The results? Game changing holiday cookies! 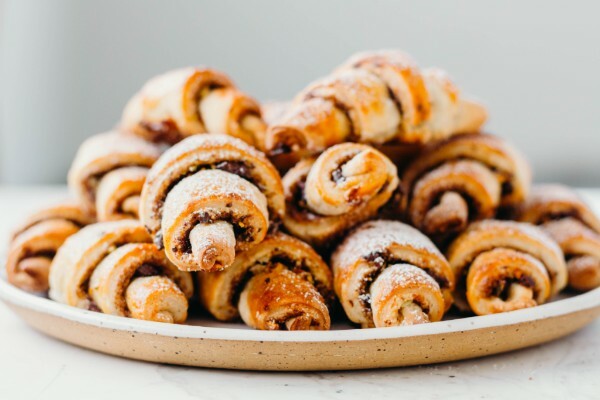 Planning to bake a batch of Rugelach this holiday season? The success is all in the dough. Adding cream cheese assures the cookies will bake up golden brown and flaky on the outside and meltingly tender on the inside. Using Bob’s Red Mill Organic All Purpose Flour ensures for consistent results each and every time. Beyond that, the options are endless. We spiced our dough with a little cinnamon and cardamom, but feel free to use any warm holiday spice we prefer. As for the filling, feel free to experiment! Jam and nut butters make for great fillings, and you can never go wrong with a little chocolate hazelnut spread! See how we made our Rugelach here.